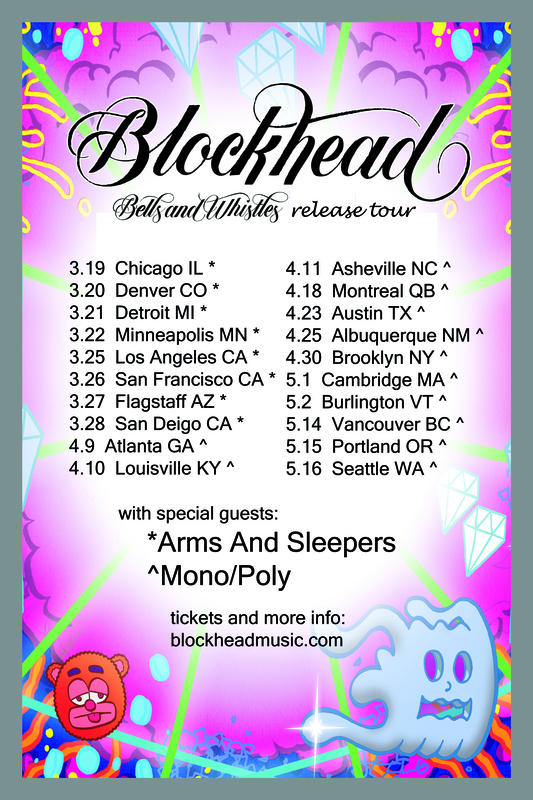 This entry was posted in blockhead and tagged blockhead, europe, tour dates, us by Blockhead. Bookmark the permalink. Also, no date in France ? I suppose it’s the same as for the UK, you couldn’t find anyone interested ? Should I try to ask my local concert hall just in case, or is your schedule too tight for any other date in march ? I’m touring with DJ Cam in europe. Not sure who’s headlining but I’ll be playing a full set. As for france, not this time. But i have played there in the last few years. All right then, thanks for the quick reply. Nice! Sweet that you booked Stengade, I love that place (although it’s been um….TEN years since I was last there). ps: Most people in Copenhagen are damn near perfect English speakers, it’s insane. When are you coming to Portugal? Judging from the lack of interest from promoters out there, I doubt I’ll ever get to play there. It would be fun but, sadly, where I play is not up to me. That’s a shame… I guess I’ll have to see you playing somewhere else, then! I might be missing some crucial link or insider knowledge, but how does one get tickets to these shows? We would really love to catch you in Amsterdam but as we don’t live there it requires some planning. My show isn’t really a Dj set. It’s a laptop show. Definitely better for concerts than clubs. I’m planning on bringing Vinyl (assuming I’ve got it by then) but I’ll probably only be able to bring a limited quality cause I’m flying with it. But I’ll definitely be available for pictures and all that good stuff. I am sure it’ll turn out to be great 🙂 afaik the Mojo is a nice venue and good mixture of concert and club appeal. I just thought it was more of a club thing because of DJ Cam. You just ruined my weekend, Mr. Blockhead. I guess it fell through. As always, I have no control over that stuff. Sorry. I’ve played in poland a few times. I loved it. It’s just not on this tour, that’s all.